Hello lovelies, happy Wednesday!!! It's been so long since my last post I can't even remember when was the last time! That's not a good thing of course, and it means that I'm not consistent to my word, which was I would post more often, and more wips. And now here I am posting about my latest wip for which I'm sew sew excited! A good friend of mine is giving birth to a baby boy in less than a month! She had asked for a quilt of course with two pillows for the baby's crib. Now, I'm not yet sure about the pillows but we HAVE decided on the quilt. 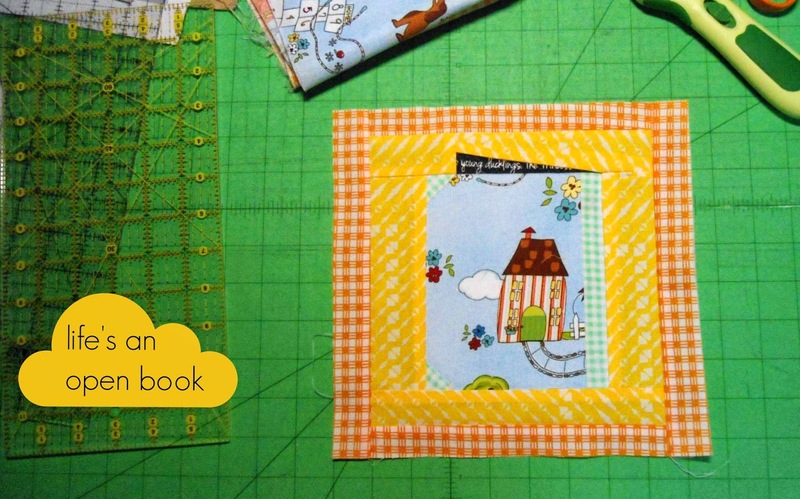 Remember a long time ago, I've told you about this amazing book from Ayumi Patchwork please. Well, a lovely quilt was featured in the book, all about paper piecing. After a long search we have narrowed our fabric choices to two basic colors, grey-ish and aqua-ish. And after a second long search we have narrowed down the fabric search to this lovely mood board. I have made a few combinations, but she sticks to the grey-ish shades, which is fine by me of course. She has rejected the last combinations from both lines. So I kinda need your help on this. Which one would you go for. But let me explain how this combinations work. A is for basic border (yellow in the picture), B is the solid color between the blocks, (dahhh), C is the the border of each block, D is the binding fabric and last but not least E is the backing fabric. Also, I decided to make a small change, instead of 48*48in, I'm going with a more bed-ish look, and hopefully it's gonna end at 40*60in, if my calculations are correct. And yesterday, I decided to stitch up a sample block, to check the technique and all, and I fell in love! I want to fill up all the beds/walls/pillows everything with this lovely pattern. And here's the little block. Isn't it the cutest EVER??? Ohhh paper piecing how do I love you!!! So please in order to start and place my orders, I need your help!! pretty please!!! I vote for A3, B2, C5, D5 and E1. It will look soooo good no matter what you choose! 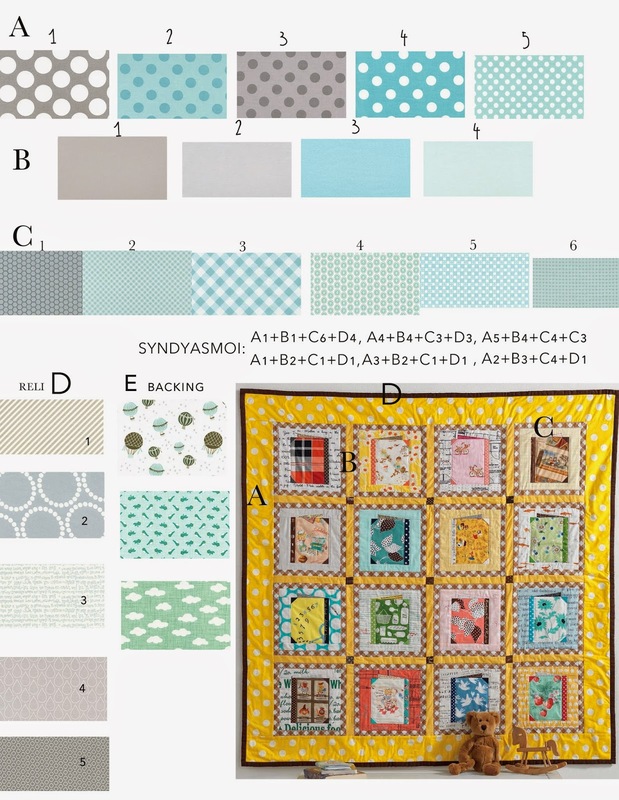 I would chose A4+B4+C3+D3+E3 but let me tello you that every fabric is gorgeous, so the final quilt would be lovely!! !